Mayur Art Mandap is a family owned business. We pride ourselves in creating the perfect setting for your special day and leaving a lasting impression. 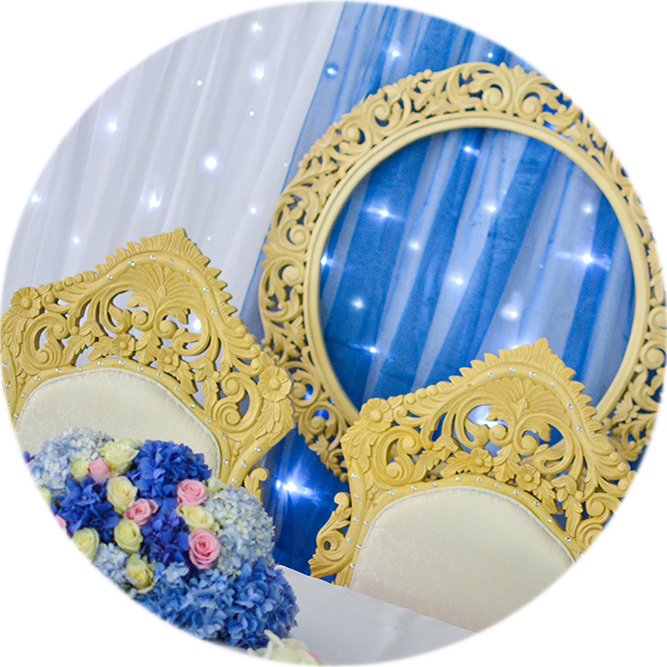 We are located in the West Midlands & we provide mandaps and decor for weddings in venues all around the UK. Having over 30 years of experience in the wedding industry gives us the edge over others because we genuinely understand how important every detail of your wedding day is, whether it be big or small. We have a wide range of mandaps, backdrops, murtis and lighting enabling you to really personalise your big event. 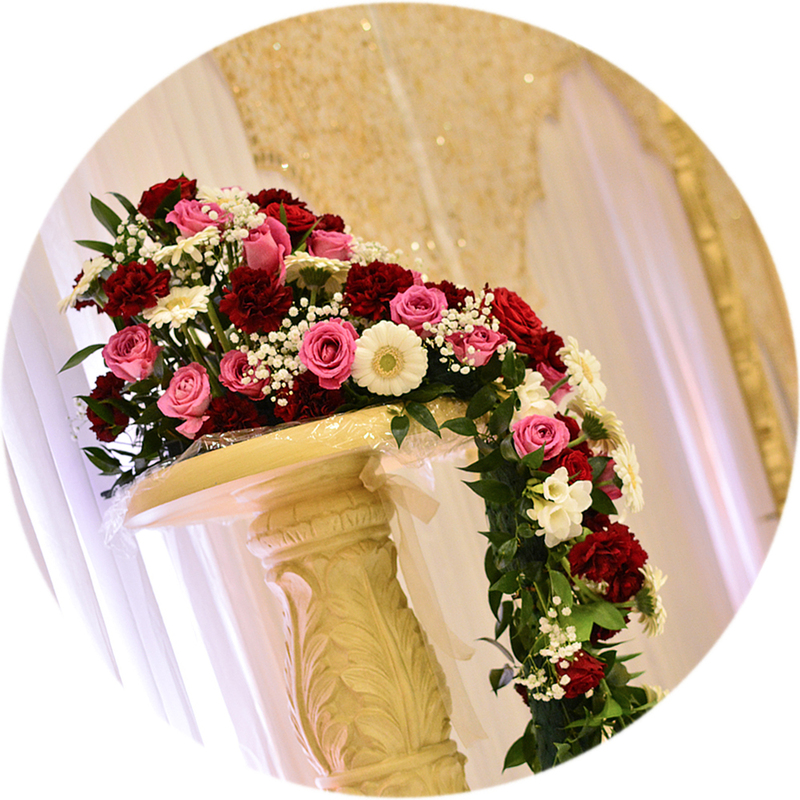 To compliment your mandap, we also design wedding stages, foyer displays, create flower arrangements and supply chair covers adding that special finishing touch. We will work closely with you and ensure you have one less thing to worry about come the big day. You will know that when you enter your venue, your wedding will be how you pictured it. Please have a browse around our website & feel free to enquire about anything additional you may require. We never rule out any ideas so don’t be shy to come forward with your own thoughts. We will do our utmost to help create the right blend and will ensure that your wedding is a work of Mayur Art. With our selection of mandaps, we can create a unique look for you and your family. 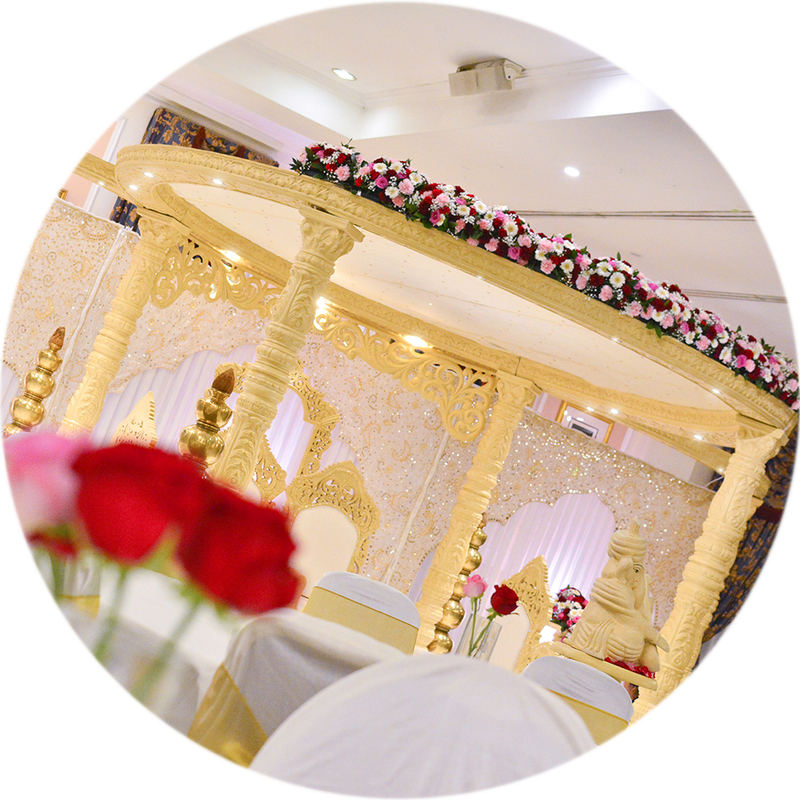 With different mandap packages, personalised aisle decor, LED Uplighting and much more, we can create your bespoke wedding day. Our elegant and beautiful stages enhance any venue. 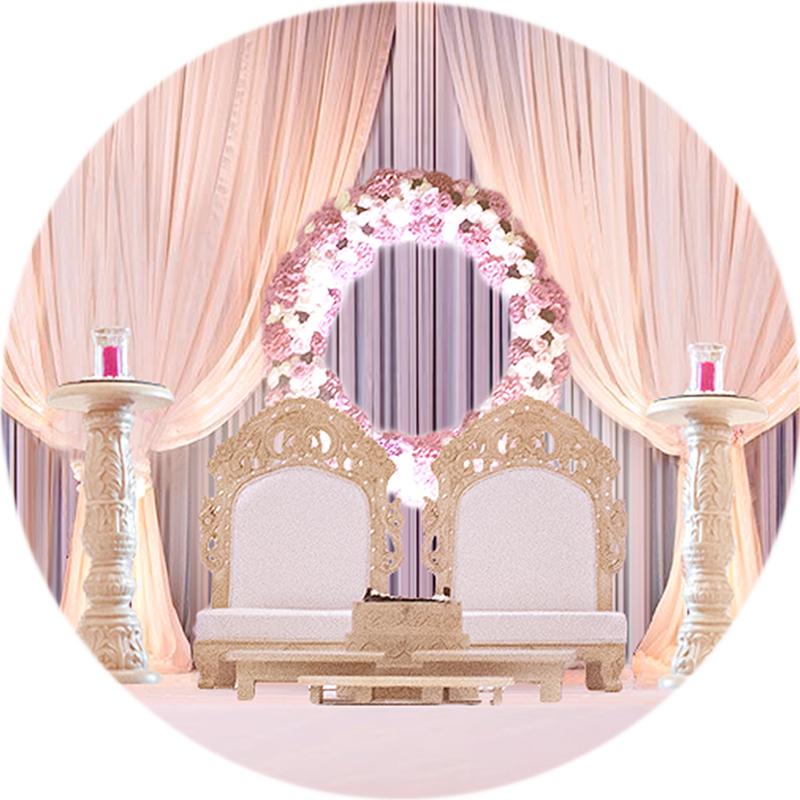 We provide custom draping in a range of colours, selections of pedestals, statues and more. Flowers help to create the ambience for your special day. Our flower arrangements are custom designed to bring your vision to life. With a range or flowers, colours and designs, the possibilities are endless.